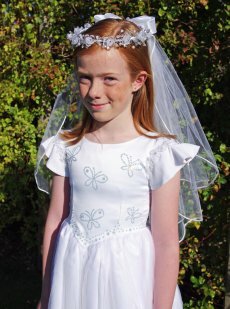 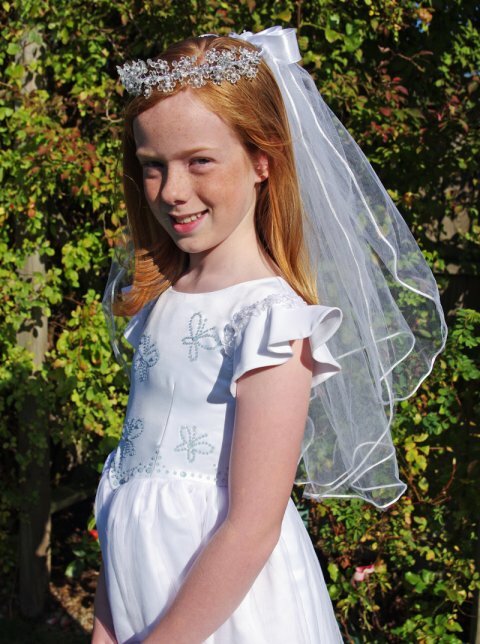 The Olivia Communion Headdress in white combines a crystal flower headdress with an attached veil with a rolled ribbon edge. 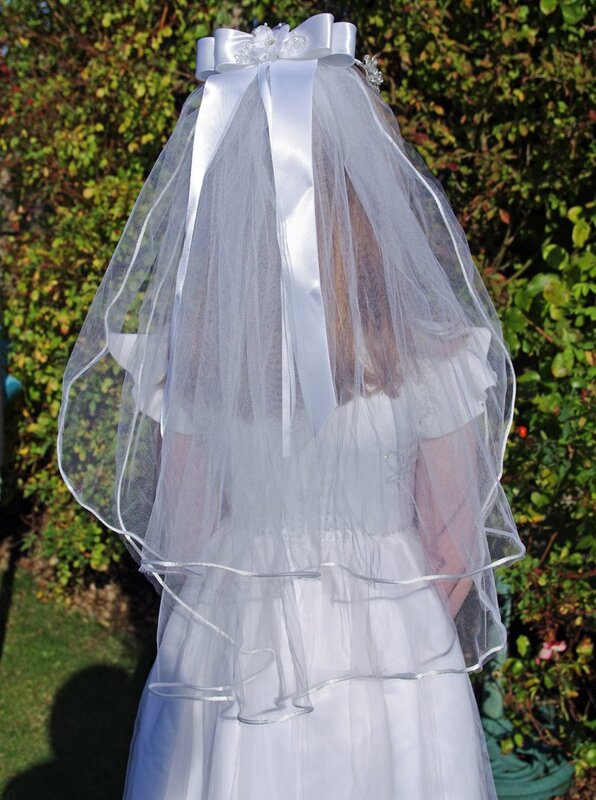 A beautiful white satin bow with trailing ribbons features at the back of the headdress. 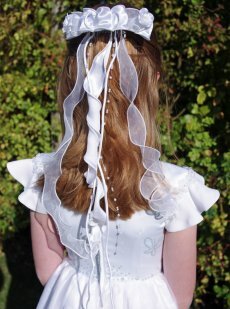 The headdress is secured to the head with a discreet comb inserted into the back of the headdress. 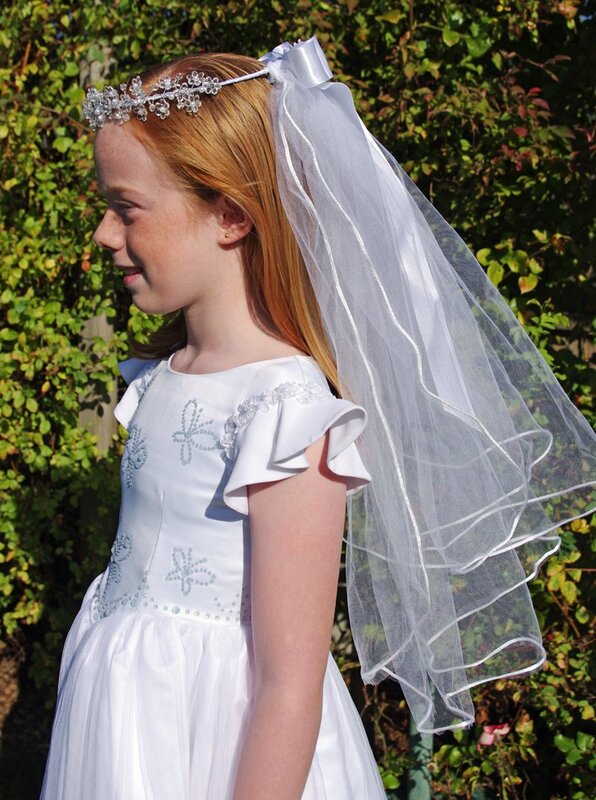 The Olivia Communion Headdress arrives packaged in a clear acetate presentation box.